What İs a Comperative Essay ? A comperative essay includes a comparison between at least two items. These items depends on the topic and must be comparable with reasonable statements. How to write a comperative essay ? 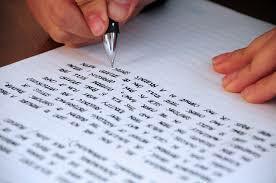 A comperative essay must include 3 parts which are called ‘Introduction’,’Body Paragraphs’ and ‘Conclusion’. Introduction part provides the main idea of the body paragraphs to the reader. It needs to have a brief background information about the topic and states the similarities or the differences between the items or both. Moreover, the general statement about the items should be presented with uncomplicated sentences. A good introduction needs to grab the reader’s attention. For example, it can start with an anecdote explain the topic of discussion. Also, a thesis statement expressed in a single sentence which make a relationship between the items must be included. In body paragraphs, the similarities and the differences should be explained by going into details. The paragraphs should state the main points of the similarities and differences and it needs examples or evidences to support the main points. It is important to use the transitional words and expressions that link the arguments to the discussion. Otherwise, the readers might not understand the logic of the arguments. The conclusion part should summarize the main points of the body paragraphs and restate the thesis statement which is written in introduction part. A good conclusion should present the argument with a wider perspective and explain why this comparison is important. Also, a closing argument should be included as a last part of the conclusion. If you could not find the major points to compare, create refutation methods and identify the topic to compare, we could help you to do all these. In addition to these, you can get high grades with our Professional essay teams’helps.